TAWINESE PHONE MAKER HTC reportedly will unveil a downsized version of its flagship HTC Onesmartphone as it looks to challenge Samsung's Galaxy S4 Mini. 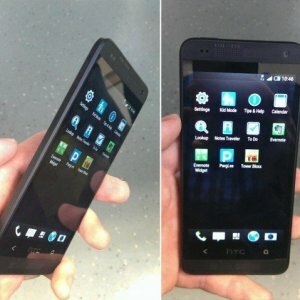 The HTC One Mini has been pictured in all of its glory, at Estonian website Forte, which also lists the handset's reported specifications. It all looks fairly legitimate, and if that is the case we can expect the HTC One Mini to feature a 4.3in HD 720p touchscreen, 2GB of RAM and the same 4MP Ultrapixel camera found on the HTC One. Assuming this thing is real, buyers can also expect a front-facing camera, integrated Beats Audio technology, 16GB of internal storage and HTC's Sense 5.0 user interface, which will sit on top of Google's Android 4.2.2 Jelly Bean mobile operating system. It reportedly will also feature the same metal clad design as its bigger brother, although we've only caught a glimpse of it in black.